Since the annexation of Crimea, the question of whether “Narva is next?” has been on analysts’ lips. The international media has descended on Narva to ask whether “little green men” could suddenly appear there. A border town 150 km from St Petersburg with an overwhelmingly Russian-speaking population, Narva is a symbol for the larger Baltic question and the future of NATO. A chorus of prominent analysts and public figures, including the former NATO Secretary-General, Anders Fogh Rasmussen, have warned of the “high probability” of future Russian action against the Baltic states. Indeed, the evidence of increasing military activity in the Baltic Sea region as a spillover from the Ukrainian crisis is abundant. Russian air force planes have been flying dangerously with transponders switched off, and Russian warships have made their presence felt. In response, NATO has beefed-up its air policing mission and increased troop deployment for exercises to reassure the Baltic states and deter Russia. Although at first glance there might be some superficial similarities to the Ukrainian case, the differences are clearly more significant. First of all, the Baltic states are members of NATO and the EU, and thus Russian action against them would have immeasurably graver consequences. The success of the Crimean operation depended on surprise. Few expected or planned for Ukraine being militarily attacked by Russia. Russian preparations were not detected (or at least correctly understood). Russia was able to use its military bases already existing on Ukrainian territory. Top Ukrainian commanders defected to the Russian side. Russian actions exploited a unique post-revolutionary situation with confusion about the legitimacy of interim authorities in Kyiv. The border with Russia in eastern Ukraine was lengthy, porous, and weakly guarded. In contrast to Ukraine, Estonia has a state capacity to respond immediately. Estonia is a well-governed state and one of the least corrupt in Europe. The fact the Ukrainian forces did not open fire in Crimea encouraged Putin to believe that the same could be easily accomplished in eastern Ukraine. However, when the Ukrainian forces resisted, they succeeded in winning back territory until Russian forces intervened directly. Estonia capitulated meekly to the USSR in 1940 in the vain hope of not provoking Moscow. The lesson drawn for contemporary Estonian defence doctrine is to always offer military resistance. The commander of the Estonian Defence Forces has stated that the first “little green man” to appear on Estonian soil will be shot immediately. Hybrid war is not something new for the Baltic states. They have already experienced elements of hybrid war – cyber attacks, economic pressure, disinformation campaigns. 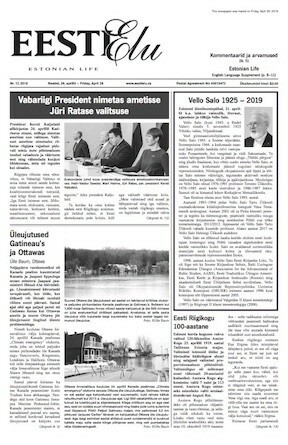 Even the Soviet-sponsored failed communist insurrection of 1924 in Estonia had many common features with events in 2014, as did the Soviet annexation in 1940. A key to Russian operations in Ukraine has been deniability of direct military involvement. 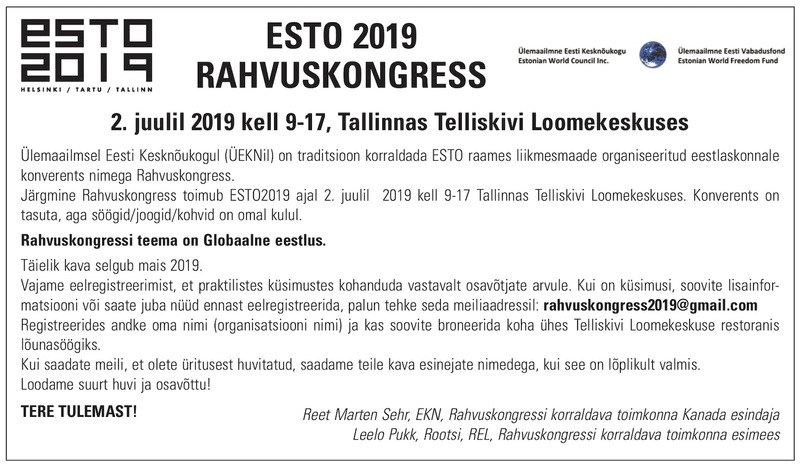 Thus the separatists claim to have obtained their Russian arms and equipment from overrun Ukrainian bases – an impossibility in Estonia since Estonian forces use only NATO standard equipment. Putin does not consider Ukraine to be a genuine nation, but part of the larger Russian nation (and many Russians agree with him). However, even Putin understands that Estonia, although small, is completely distinct. There is no historical territorial bone of contention; Narva has always indisputably belonged to Estonia. Perhaps the greatest concern has not been the military, but ethnic factor. Putin has justified aggression against Ukraine with the need to “protect” Russian speakers. This is a dangerous fallback to the pre-1945 world, where dictators claimed the right to change borders by force to bring co-ethnics into their fold. Putin’s reasoning is a dramatic escalation from the spurious excuse, used six years earlier in South Ossetia, of protecting Russian citizens. Russophones in Ukraine were swayed by the demonstration of might and a rational calculation to side with the victor. Material considerations also played a role; for instance, pensions are higher in Russia than in Ukraine. Such incentives do not apply in the Baltic case since the standard of living is higher than in Russia. This is especially evident in the border areas. The Pskov oblast, bordering Estonia and Latvia, is one of the poorest in the entire Russian Federation. People in Narva regularly cross the bridge to Ivangorod and know very well for themselves that life is more miserable on the Russian side of the border. Narva’s supermarkets became a popular destination for consumers from St Petersburg after Putin slapped countersanctions on EU agricultural produce. Wages are lower and unemployment higher than in Tallinn, but Narva’s economic indicators are similar to those of other peripheral Estonian towns. While most Estonian russophones support the annexation of Crimea, it would be wrong to jump to the conclusion that they would desire similar Russian intervention at home. Indeed, the images of carnage in eastern Ukraine are a powerful argument in favour of maintaining peace. Rather than asking residents their opinion about Crimea or Putin, it would be more insightful to ask whether they would prefer rubles to euros or the Russian healthcare system to the Estonian one. Even those Estonian russophones who are non-citizens enjoy the right to freely travel and work within the EU, a privilege that would be sorely missed. Although there is a sharp contrast between Estonian and Russian-speakers on support for NATO and perception of a threat from Moscow, more importantly, there is little difference regarding the will to defend their country. Previously, it was believed that the integration of the Russian minority would be resolved by time – Soviet nostalgia would fade with the passing of the older generation. The first warning that this assumption was false came with the conflict over the relocation of the Tallinn Soviet war monument (“the Bronze soldier”) in 2007. Russia has instrumentalised its “compatriots” in order to undermine societal integration and to maintain a sense of grievance and marginalisation. The conflict in Ukraine has been accompanied by an unprecedented level and sophistication of hostile information warfare. Most Estonians and Russophones live in separate information spaces, with Russian TV being the prime source for the latter. The Baltic states were among those who proposed that the EU take countermeasures to combat Russian media falsifications. The Estonian government has decided to fund a new Russian language TV channel – not to provide counter-propaganda, but to strengthen the identity of the local community. Some analysts have argued that it is not important what people in Narva actually think, because Russia could ignite trouble simply by inserting a few outsiders. A related question is whether NATO allies would be willing to “die for Narva”. The logic of this hypothetical argument is that Putin’s ultimate aim is not territorial expansion, but dividing the West by undermining NATO and the EU. An operation limited to Narva could leave NATO in a dilemma of how to respond, especially since the Russian military policy foresees the “de-escalation” of conflicts by nuclear means, ie threatening to carry out a limited tactical number strike in order to convince NATO to refrain from coming to the assistance of an ally under attack. Andrei Piontkovsky has turned the question around and asked whether Putin is willing to die for Narva. Such a gamble obviously wouldn’t be worth it, but Putin has demonstrated that he is much less risk-averse than Western leaders. Visiting Tallinn in September 2014, US President Barack Obama stated that the “the defence of Tallinn and Riga and Vilnius is just as important as the defence of Berlin and Paris and London.” In order for the validity of this statement not to be tested, deterrence must credible. Barak b.s. Obama announced his defence of Estonia, in Tallinn, on Sept. 3, 2014. Two days later, Russian agents crossed the Estonian border and kidnapped the policeman, Eston Kohver. The U.S. President didn't say a word, then, while the Kremlim reeled with laughter. I'm prepared to wager that Trump would have reacted differently. We'll never know, however, because Putin knows better than to make a fool of Trump.